Consider It Done Construction replaced the flooring, painted, and added trim around the window and along the floor. This home needed work on all surfaces and systems. 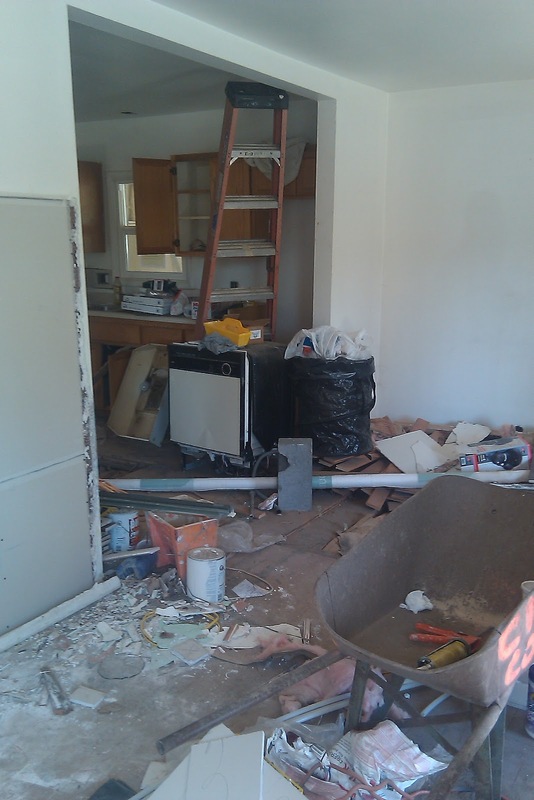 The customer wanted to keep the existing kitchen cabinets and counter tops.Consider It Done Construction coordinated everything. This picture was taken just before we buttoned it up. After the repairing the walls and holes in the floor, this rental got new vinyl, paint, and light fixtures. 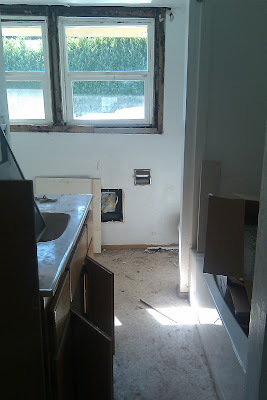 The customer wanted new flooring, walls repaired, interior paint, and the cabinet/sink replaced with a pedestal sink. The new pedestal sink is visible on the right. Floor has been prepped, floor trim removed. New vinyl installed, existing floor trim re-installed.